Ok gang, it’s fair to say that my body has turned to cookie dough these past couple of years and it’s time to do something about it. I’ve always struggled with my strength and fitness but as I get older I am noticing it even more. The life saving operations and treatment I received as a child have had a significant impact on my health in later life. As I was only 7 and 8 years old when I had this treatment, I was more susceptible to damage and it also means i’ve pretty much grown up not really knowing what normal is. I’ve always found exercise quite challenging, I struggle to put on muscle and fat on my upper body and i’ve always had issues with my back. Scarred Lungs – a side effect of the radiotherapy used to get rid of the tumors in my lungs. 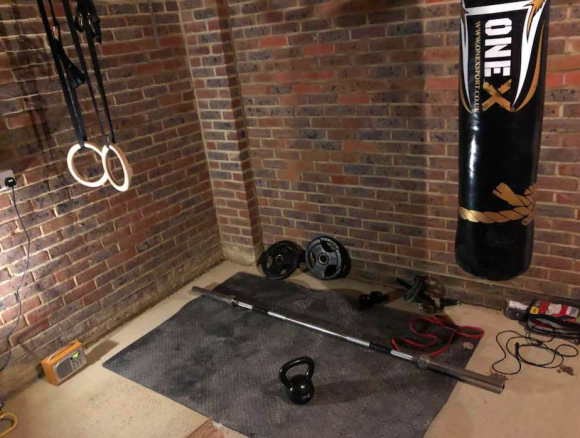 Upper Body Damage – Due to me being only 7 years old the high doses of radiotherapy to my chest burned away various cells which means it is difficult to put on muscle or fat. 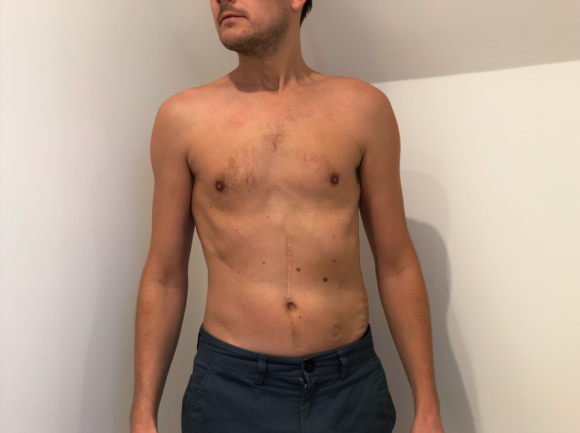 Scoliosis – I’m not entirely sure why this is but a combination of radiotherapy and the removal of my right kidney has left my rib cage pointing one way and my pelvis the other. This has resulted in a curved spine. 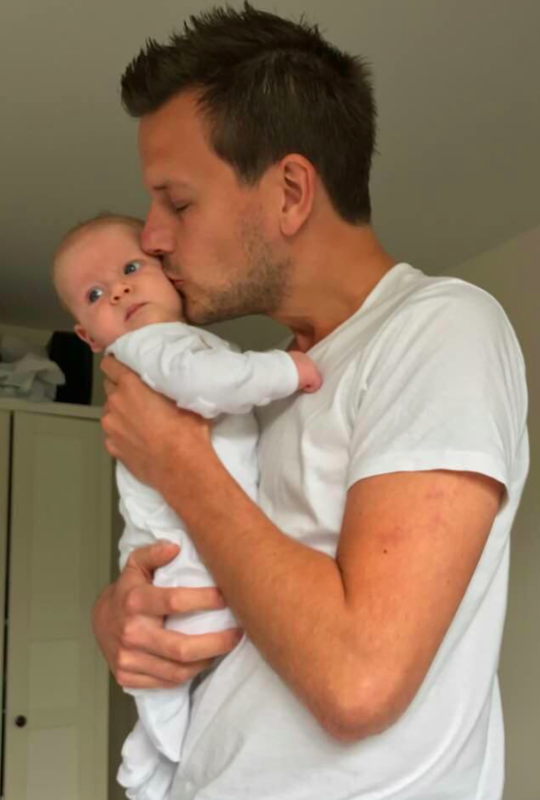 Prior to the arrival of my beautiful baby boy 5 months ago I decided to not only do something about some of these issues but that I was also going do deal with them naturally, without the need for operations and medication. I wanted to be in the best physical condition I could be in for Jospeh’s arrival and I wanted to be able to pick him up without feeling like a 90 year old. I only learned a couple of years ago that if I had received physio as a child I may not have had the issues I do now with my back and upper torso. I was offered medication for my heart but I refused it as I firmly believe that this can be dealt with via good nutrition and exercise. I booked an appointment at the Centre for Health and Human Performance in London for a one off intensive physiotherapy session. An amazing physiotherapist called Rob Madden developed a physio plan I could do on my own at home which would help strengthen my back, lessen back pain and improve my posture. My brother arranged three sessions with a cross fit instructor (pictured). I was expecting a drill sergeant and I got one of the loveliest people you could ever hope to meet. 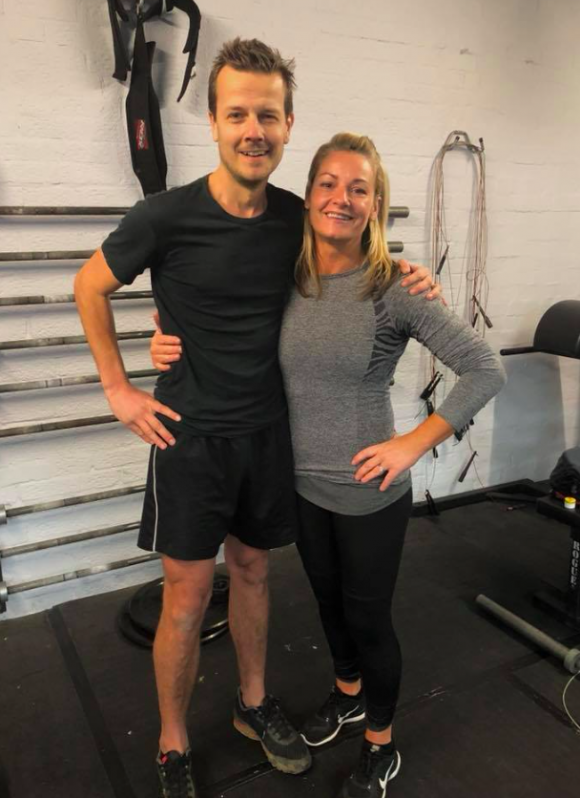 Natalie Fitzpatrick is a professional cross fit instructor and she worked with me on developing a workout plan that would improve my core and all round body strength as well as improving my cardiovascular health. My diet has been evolving ever since my second diagnosis in 2010. I’ve seen many a nutritional therapist over the years but this time I saw Deb Archibald who is a breast cancer survivor that specialises in cancer based nutrition. 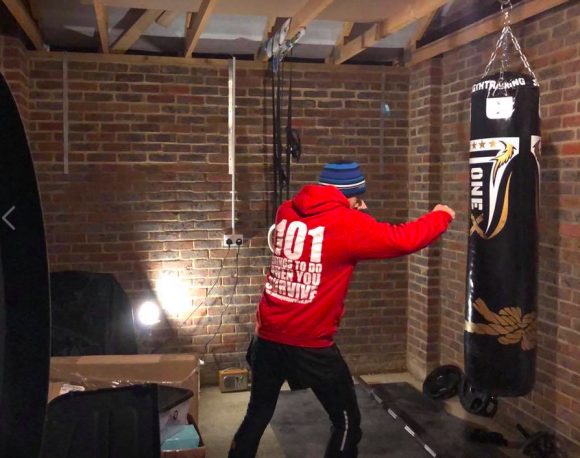 And finally I have set up a mini gym in my garage which is freezing cold, damp and dusty and I love it! I’ll give you a better tour soon. Jaime suggested that I share some of the things I have learnt and implemented in my own life over the past 7 years. If people ask, I am more than willing to tell them but I often find people aren’t interested in changing their diets or lifestyle which breaks my heart. Cancer and many other forms of physical illness have been shown to be the result of a combination of environmental, life-style and biological factors. It makes perfect sense that the key to both preventing and overcoming these illnesses is an overall improvement in the exact same things that cause them. I hope you get something from these ‘101 Health’ posts and please know that I will not post anything that hasn’t been PROVEN to have a positive effect on your physical and mental well/being. Lets make this our healthiest year yet. Please keep sharing as so many will continue to benefit from sharing the experience you have had. We will share your blog to our patient groups!